Ft. Worth artist Alvis Ballew, graduated from TCU and was recognized very early in his career as an artist with unlimited potential. Alvis left us much too early yet, his paintings are still being collected. We are proud that we had the opportunity to display his work. 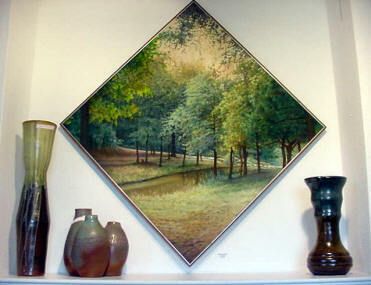 His ability to achieve realism in his landscape scenes is of particular note.